Numerous homeowners over the years have taken on a DIY home extension project only to run into serious issues. Quickly, they realise that they are in over their skill level. When this occurs, they go in search of a professional to solve their problems. Professionals understand all the elements, building codes, permits and current technical specifications that a house extension requires to bring it to fruition in the proper manner. Read our list below to learn how professional help will solve any of your issues with a DIY extension project at your house. When you turn to professionals for assistance, their plans will include all design elements no matter how minor these elements may seem to you. They know that minor glitches can turn into major issues when not planned for correctly. Experts design structural and utility elements in accordance to local building codes. These codes state the safest manner to construct a building or extension in a given area of the country. When home extensions fail to meet these codes, they may pose a danger for the inhabitants of the house. Various building permits need to be obtained before your extension can proceed according to plan. Otherwise, a building inspector may select to halt your DIY home extension project if you fail to obtain the necessary permits. Professionals will ensure they receive the permits in order for the extension to proceed on schedule. 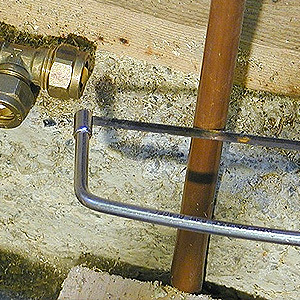 From time to time, the technical specifications for wiring, cabling, gas lines and plumbing lines will update to improve their durability and functionality. Experts in construction stay abreast of all changes to ensure that their clients’ extensions and other projects include the best workmanship. On top of all other ways that they help, professionals will offer advice as to what type of materials best suit your extension. Without this guidance, you may select lesser-quality materials since their price is cheaper. The next time your DIY home extension project becomes a problem, or if you just want to avoid issues to start with, you should contact Concept Bathrooms & Construction. We are experts in construction of extensions and other home projects. With our years of experience, you will avoid an undesirable outcome of your project.